In the co-main event of UFC 228 on pay-per-view (PPV), Karolina Kowalkiewicz suffered a brutal knockout loss to Jessica Andrade. The match-up was expected to crown the next challenger for the UFC strawweight championship. Rose Namajunas currently reigns as the UFC’s strawweight titleholder. In the opening seconds of the fight, Andrade stunned Kowalkiewicz with her striking power. Eventually, the Brazilian was able to knock Kowalkiewicz out cold. With the win, she certainly looks to be the next woman up to challenge for the 115-pound title. As for Kowalkiewicz, she has released a statement on the loss. 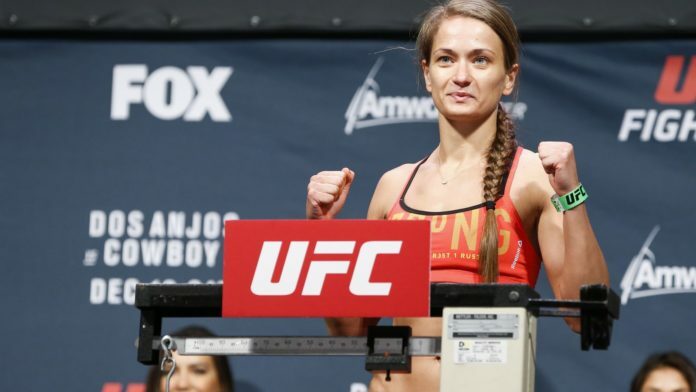 Discussion: What do you make of Kowalkiewicz’s comments after her knockout loss? Let us know in the comments section below!